We’d love your help. Let us know what’s wrong with this preview of Longclaws by Steve Peek. This is home to the longclaws, beings of super-human speed, strength and senses. Their predatory skills allow them a only Their world is crowded with active volcanoes, sulfur and acid rains, permanent thick clouds turn day into deep twilight. It is a violent place: moment-to-moment survival is victory, every creature is constantly predator and prey, sleep is certain death. This is home to the longclaws, beings of super-human speed, strength and senses. Their predatory skills allow them a only tenuous niche in their hellish environment. Though smart and fierce, their rank in the food chain is far below the top. One clan leader draws from ancient legends of paradise and devises a plan to escape and take his clan to the otherworld – a world filled with slow, defenseless prey. The clan activates an Indian mound deep in southern forests and enters our world –hungry for prey. Mankind's legends are filled with vampires, werewolves, dragons and other nightmarish. Perhaps our legend of hell is based on the world of the Longclaws. To ask other readers questions about Longclaws, please sign up. What about the next books? Steve Peek The next installment of Long Claws is in progress. I hope to complete it by next year. Thanks for asking. Is there another book to follow??? After finishing this book, I don't know exactly how to feel. I expected to feel horrified, and at certain points I was, perhaps not at the points Steve intended, but generally speaking I felt a little disjointed. I believe this was because of the choppy way the story went from one place and time to another and then another. I don't have a solution to make it better; I just know that I didn't really get it. The introduction to the 'world' took a long time. Almost a third of the book! It held useful After finishing this book, I don't know exactly how to feel. The introduction to the 'world' took a long time. Almost a third of the book! It held useful information, but it felt like I was being introduced to characters, ideas and concepts just to have them ripped away. You don't meet the real protagonist until about 30% in either. That meant you only had 70% of the book left in which to get to know them and feel something for them. It took a while, but eventually I did start to care for a couple of the characters. I think the kicker for me though, the turning point in my feelings for the book, revolved solely around the dog. I felt more for that wiry-haired pooch than any of the other characters. That could be because I'm an animal person, but I don't think so. In fact I believe it's got more to do with the characterisation that the dog had that the other characters were lacking. The antagonists were brilliant creations of horrific proportions, but strangely humanesque in some of their actions, protecting their young and mates for example, and so completely alien in other aspects. I didn't really appreciate the dialogue around them and their existence in their world; I think it would have been enough knowing that they came from a hellish world without all the rest of it too. The thing that kept me engaged and enjoying this story was the science/history behind the different worlds. The ley lines and the Indian culture, the standing stones and the magic that was obviously so thoroughly researched by Steve. That part of the story was steeped in so much truth that even though it was completely 'out there' I found myself wanting to believe it too. I didn't much like how things ended, but then I can't say I didn't expect it a little anyway. Steve seemed to enjoy mutilating characters, finding creative ways to dispatch them from the story and well, I guess I came to expect that any characters were potential targets, even those who deserved a second chance at things or ones who were young and innocent. This book is certainly not for the feint-hearted. It starts off slowly enough, but by the end of it you'll be wading through so much blood and guts it all just starts to blur together. This book could do with another pass over by an editor. There were plenty of little typos and formatting issues on the kindle. 15% - now it (was) just weeds. 46% - ...and was (delete was) barely avoided passing talons. 54% - looking for away (a way) out. 83% There must be away (a way). The setup: Bands of mystic energy link our world to a particularly horrid "other world" and occasionally people get sucked into that world; worse, vicious creatures occasionally get plopped into ours. When they do, bad things happen and those bad things have become the basis for our various cultural myths of hell, vampires, werewolves, dragons, etc. It is a compelling idea that could easily founder under its own weight but author Steve Peek brings a patient, almost academic biologists' approach to the world of the monsters that distinguishes this effort. The alternate universe he describes is not a place one would want to visit (though, in his book, some do with poor results) with active volcanoes and sulfuric acid rain and a Noah's ark of horrid creatures forever swooping down to disembowel a fellow creature or laying traps to exsanguinate some unfortunate howler. He provides patient descriptions of the creatures and their world and really helps the reader see the world through their eyes and experience the constant struggle to survive and feed. Sound overwhelming? It could be, but he does an admirable job of grounding the story in the every day life of the rural south. There's an almost a Grisham-like Painted House feel to the simple rhythms he portrays both in the present, and flashing back to earlier decades. This story would not work as well if not for the old gas stations, grape sodas and aw-shucks charm of small town life. Of course, that life is turned upside down when a vicious clan of Longclaws make the journey over from the other side and hit the ground running, hungry for blood. This book — imagining not one, but two alternate worlds (the bad place, and the mystic underpinning of this world) and moving back and forth in time — is well-worth the read. I know I will never look at Native American artifacts the same way again. First of all I should thank the author of Longclaws, Steve Peek, for gifting me a copy of Longclaws and giving me the opportunity to read it. I did warn Steve that I would give an honest review regardless, and here it is. I found Longclaws to be a fascinating and imaginative novel, quite different from what I originally envisaged. Steve has created a well thought out storyline in more than one world with a cool cast of characters and creatures. Whilst none of the characters has a great deal of de First of all I should thank the author of Longclaws, Steve Peek, for gifting me a copy of Longclaws and giving me the opportunity to read it. I did warn Steve that I would give an honest review regardless, and here it is. I found Longclaws to be a fascinating and imaginative novel, quite different from what I originally envisaged. Steve has created a well thought out storyline in more than one world with a cool cast of characters and creatures. Whilst none of the characters has a great deal of depth to them, not that this is necessary, it is interesting that for all the death and suffering there aren't really any bad guys. Each group or faction is doing what it needs to do to survive, rather than being evil. The layout of the book and/or formatting for the Kindle could have been better. Sometimes there was a chapter change almost mid scene, and on other occasions a new paragraph would be a completely different scene in another place with different characters. This led to confusion until I realised what had happened, and could have been avoided. There were also some errors which may have been down to typos, grammar or formatting. The only other thing that affected my enjoyment of Longclaws was that the writing style sometimes came across as a little awkward. I've tried to think of a better way of putting it but failed. It could be the mark of a writer who hasn't quite found his style and will improve with more books under his belt. It wasn't that off-putting, it's just that the story could have flowed better. I was immediately drawn by the book's cover. It reminds me of those lurid (meant in a good way!) covers on old horror stories which I love and miss with today's generic appearance of most books. The plot summary sealed the deal: I had to read this one! Three different story-lines are intricately woven into a compelling story: a clan of vampire-like beings called longclaws living in a parallel, prehistoric-like world, hunting for fresh blood and hiding from other, even more menacing creatures. An I was immediately drawn by the book's cover. It reminds me of those lurid (meant in a good way!) covers on old horror stories which I love and miss with today's generic appearance of most books. The plot summary sealed the deal: I had to read this one! Three different story-lines are intricately woven into a compelling story: a clan of vampire-like beings called longclaws living in a parallel, prehistoric-like world, hunting for fresh blood and hiding from other, even more menacing creatures. An ancient Indian tribe knowing about the dangerous otherworldly beasts and closing the energy lines leading to their world. A teenage runaway boy ending up with his old great-uncle who lives to protect humanity by guarding the portal. Then one longclaw discovers a way to cross the border into paradise: our human world, where they are superior predators among easy prey. A brutal fight for survival begins - on both sides. The author uses different time lines, parallel worlds and different points of view, sometimes retelling a scene as experienced from both humans and longclaws. Where other books get lost in their overwhelming, confusing complexity, that is never the case with longclaws, where all parts converge into a coherent and unique whole. 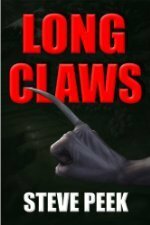 The underlying premise that our folklore especially about vampires and werewolves stems from encounters with creatures from another dimension mark Longclaws as an outstanding work in the 'fangs&claws' genre. However, this distinctive novel will surely appeal to fans of all types of horror. Author Steve Peek has created a world that embraces many legends, werewolves, vampires, the like, as beings of an alternate dimension. Gates allow them passage to out world. Ancient humans had learned ways to shut those doors down, building such as Stonehenge, the Indian mounds of the Americas, and other such structures around the world. But as humans spread and built, those impediments were destroyed, weakening those lines connected worldwide. And a pack of Longclaws have found a way to cross ov Author Steve Peek has created a world that embraces many legends, werewolves, vampires, the like, as beings of an alternate dimension. Gates allow them passage to out world. Ancient humans had learned ways to shut those doors down, building such as Stonehenge, the Indian mounds of the Americas, and other such structures around the world. But as humans spread and built, those impediments were destroyed, weakening those lines connected worldwide. And a pack of Longclaws have found a way to cross over into our world. In their own dimension, they are far down the food chain. In our world, they are incredibly fast with claws protruding from hands made for slashing, cutting up their prey. In northern Alabama forests, cut off by a collapsed bridge and rivers swollen by the torrential rains, there will be a battle between the clan of longclaws and two families, the Masons, from a long line that watched the mounds for just such an event, and an old Indian woman and her granddaughter. Author Steve Peek has managed to straddle two worlds, bring his characters through the veils that separate them and still maintain a shroud of mystery around his tale, Longclaws. Are they from the realm we refer to as Hell? Are they behind the legends of the vampire? Are they going to cause me to sleep with the lights on for a while? Longclaws are predators with super-human strength, speed and bravery in their world, where survival is a constant battle. Each member of the clan has an important ro Author Steve Peek has managed to straddle two worlds, bring his characters through the veils that separate them and still maintain a shroud of mystery around his tale, Longclaws. Are they from the realm we refer to as Hell? Are they behind the legends of the vampire? Are they going to cause me to sleep with the lights on for a while? Longclaws are predators with super-human strength, speed and bravery in their world, where survival is a constant battle. Each member of the clan has an important role to play, vital to their survival, yet, we do not meet them as individuals because that seems unimportant, they are what and who they are, able to see the big picture in the battle for survival, fiercely loyal to their clan and their traditions. When one Leader finds a way to cross the veils that surround their world from ours, it is to survive. Humans are unknown demons to them, weak, yet with the will to survive that is respected by the longclaws. If not for their passing through these veils or ley lines a young boy would never know how to belong to a family, how to feel loved, or how to find self-respect. I wondered if there was a villain in this tale. I saw factions fighting for survival in the only way they knew how! Steve Peek’s writing style is almost dreamlike, blending Indian folklore, ley lines, myths and legends into a tale that will stay with you, in a hauntingly beautiful way. He grounds his tale with humanity at its finest, everyday people coping with the impossible, often mirroring the clan’s will for survival, but who will win in the end? On a personal note, I absolutely loved the writing, the plot, the characters, the style, the pace and the world-building….my anticipated nightmares, not so much. Looking at the cover of this book, I wasn't really sure what I was going to find inside. I was both thrilled with the contents and impressed by this author's ability to transport his reader to another world and make you forget yourself while reading his work. This story is amazing. Steve Peek has a unique talent for building believable characters that you can't help but identify with. This story is very complex and has a lot of elements that I had not seen before, and was not at all what I had e Looking at the cover of this book, I wasn't really sure what I was going to find inside. I was both thrilled with the contents and impressed by this author's ability to transport his reader to another world and make you forget yourself while reading his work. This story is amazing. Steve Peek has a unique talent for building believable characters that you can't help but identify with. This story is very complex and has a lot of elements that I had not seen before, and was not at all what I had expected. "The house looked as if it had never seen a coat of paint. The gray planks warped and strained against the rusty nails, which bled dark-red streaks from years of rain." Rather than telling the reader everything that is going to happen step by step, Steve Peek allows us to connect the dots and reveals his story through the actions of his characters.There was no extra fluff or poorly utilized space in this novel. By the time you reach the middle of this book, the pages turn furiously. I couldn't wait to find out what was going to happen next, but at the same time I hated to see this book be over with. Steve Peek has a real talent for writing, and I look forward to seeing what he comes up with next. I would definitely recommend this book to anyone who likes a complex mystery with a measure of terror and truly original and unexpected twists. I received a digital copy of this book for my review. My opinions are my own. A very fine book chock full of ideas and action. I liked the characters and the twists and turns. If anything there was a bit too much detail about some aspects of the Longclaws world. But overall it was quite an enjoyable read. What a great adventure! The story line was awesome and this became one of those books that I could not wait to see what happened next at the same time not sure I wanted it to end! If you can get engrossed in what you are reading, put yourself in the world being described. Enjoy! This is the best book and 'story' I have read this year! Two worlds that cross with horrible results. Steve Peek brought many genre together and created a fantastic book. I don't like writing a review of a novel. Others do a much better job than I would and I ask that you read the other reviews. I will be reading this book again and it holds its place in my list of favorite books. Thank you, Steve Peek, for telling this story. I edited this book (again); there was a mixup in the files uploaded in January or something, because there were a lot of errors left that I fixed. So, if you have a copy that you picked up before, be sure to wait for the updated file and download the update before you read it. This book is about the doorways between our world and other's and what can happen when the ultimate predator finds it's way into ours . This was a decent read it's was interesting how the author gave you different points of view even from the antagonist who really wasn't evil they just wanted a better place a safer play for their people . Anyway I enjoyed this book although it took a little time for me to get into the plot not a bad story at all . The ending was definitely a twist though . I enjoyed this book it was an easy read. The beginning of the book seemed a bit disjointed but by the end of the book it was clear. I dont know what the creatures are but i dont want to met one. They are very fast and intelligent. The book is not what you expect. You will be surprised. If you like horror than this book is for you. I am going to buy more of Steve Peek, right now. Good - a different sort of vampire story. I liked this book because it wasn't too predictable, decent amount of action and had a different perspective on vampires and werewolves. I liked this book because it has an original plot. I would recommend this to young adults who like fantasy and adventure stories. First off, Longclaws has a lot of positives. I love new and creative monsters and Longclaws did not disappoint. The demonic creatures are the stuff of nightmares and provided many tense scenes for the characters and for me. Next, the story had good character development. The characters were believable and had great backstories. Which brings me to the next thing I liked, the writing. The novel was fast paced and well written. The middle of the story really picks up and I had to know what was going First off, Longclaws has a lot of positives. I love new and creative monsters and Longclaws did not disappoint. The demonic creatures are the stuff of nightmares and provided many tense scenes for the characters and for me. Next, the story had good character development. The characters were believable and had great backstories. Which brings me to the next thing I liked, the writing. The novel was fast paced and well written. The middle of the story really picks up and I had to know what was going to happen next. I also thoroughly enjoyed the “Creation Paths” as that added great depth to the story and was very interesting research. And lastly, I appreciated that Native Americans were written into the story. I find that many stories just include a line about “Indian Graveyards” as a cheap way to give a special reverence to a place, but the author adds them as characters and makes them come alive. Some things that I disliked were: the beginning chapters were confusing. There was an inception thing going on that made me re-read the first chapters. In chapter 1, Tom has a flash back to himself as a child. Then the story goes 20,000 years in the past in chapter 2 which ends up being a flashback of the younger version of Tom from chapter 1. Then the next chapter introduces the monsters of the story and are written from their point of view. Which was interesting but I was lost as to what was happening in the story at that this point. Secondly, there was no main character to root for. It starts with Tom, who I assumed was the main character and then we are introduced to Royce, a lovable man with a mysterious gift (which I will talk about later). But the main character is actually Pete, whom we do not meet until chapter 10, almost a third of the way through the book but by then I was waiting for Tom or Royce to really take off and they never do. Lastly, the explanation of dowsing as a special gift. I felt that since it was explained in great detail that it would be used at some major point in the story to assist or be a plot changer but that never happens. It was good information but didn’t add anything to the story for me. The book up for review is “Longclaws” by Steve Peek. This novel in the genre of horror and thriller. It’s one of those novels where there are two themes unfolding in alternating chapters. But they tie in together brilliantly. It starts off with creatures from a distance past. The kind of creatures legends are made out of. But people never take as having an ounce of truth in it. You are introduced to Longclaws a clan of animals that are vicious, bloodthirsty yet protective of their own. But they ar The book up for review is “Longclaws” by Steve Peek. It starts off with creatures from a distance past. The kind of creatures legends are made out of. But people never take as having an ounce of truth in it. You are introduced to Longclaws a clan of animals that are vicious, bloodthirsty yet protective of their own. But they are not alone in this unforgiving world. The reader is taken on an adventure as the book describes them beautifully where you can imagine in your mind what is being written. Kudos on that alone. The picture has been painted well. Enter the Mason family who has a history and knowledge of the creatures. They are the keepers of the entrance that separates our world from theirs. It is imperative the doors remain close. For the alternative would involve chaos and destruction for both worlds. This book starts off a little slow. However I encourage the reader to keep reading. The twists and turns that comes off the pages will keep your interest as you wonder what happens next. I am always amazed at authors who can create a unique and different world. Mr. Peek has done just that. I was lucky enough to be gifted this book by the author himself. I must admit, I thoroughly enjoyed Long Claws. It takes age old doctrines and adds a new twist and or idea as to why they are in place. 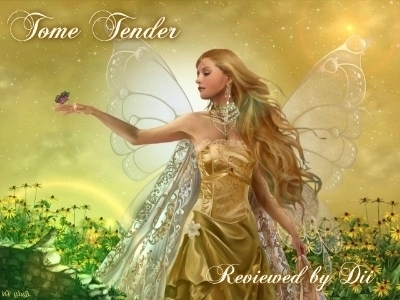 It is fast paced and well written. Although, the kindle edition does require some editing. It is also refreshing to not always just see the world from the perspective of humans alone, and that the "Long Claws" were not just mindless killing machines. I would recommend this book to any book enthusia I was lucky enough to be gifted this book by the author himself. I loved this book! Mr. Peek has an imagination I'm in love with! I have a nightlight in my room now and we won't be walking in the woods...Or the dark for a while. I was so confused by this book, the way it bounced from character to character, time period to time period, that I realized after about 20% of it that I had absolutely no idea what was going on. I rarely stop reading a book, hoping that it will come together somehow, but this one I couldn't bear any longer. A very interesting take on stories of monsters. The characters are well developed and believable. The author gives the reader insight into both humans and monsters. I look forward to reading the next book. Hello, this story was very different. The author did a good job of correlating legends of old with his version. Thanks and MERRY CHRISTMAS..
Good but not great! Hope to read the next installment but so far not available! 3.5 stars rounded up. A busy, innovative and engaging storyline. I'll look for more by this author. It was quite different. I love American Indian culture so this fantasy was great for ME! Fun read! Not a literary novel but who cares!!! First cousins, Steve and Pat Conroy's families often shared their grandmother's big house in Atlanta. Both wanted to be writers. Pat became a literary lion by the time he was thirty. Steve began writing semi-seriously in the 1980's. Now, for better or for worse, he writes full time. Steve traveled extensively and explored histories and myths of peoples and places all over the world. He loves all things ancient, mysterious and digs deep into lore and enigmas for his subjects. Difficult to classify his books, they are always reviewed as unique and fresh storylines with believable characters. Often, he can't help sprinkling a touch of humor in an otherwise serious scene. He loves animals, especially birds and loves to sit and watch them at the feeders when his dogs allow it. He appreciates the magic of life and the interconnection of all things.